His lawyer says he has been put in the hole for 90 days for making alcohol in his cell -- but it wasn't alcohol, it was Kombucha (a probiotic digestive aid drink.) He also lost 40 days of good time. "Your honor, I am not guilty...."I never intended to kill anyone. I never intended to sell arms to anyone. God knows this truth." ... Mr. Bout simply took advantage of the opportunity presented to him, rather than actively looking to commit a crime that could be prosecuted in U.S. courts. She also said the federal sentencing guidelines in the case called for too harsh a sentence. Viktor Bout, convicted of arms trafficking and awaiting sentencing in New York, has been ordered to be moved out of solitary confinement. A federal judge today ruled such treatment unconstitutional. Although I recognize that courts are loathe to interfere with questions of prison administration, an area in which the BOP is best suited to make decisions, I cannot shirk my duty under the Constitution and Turner to ensure that Bout's confinement is not arbitrarily and excessively harsh. 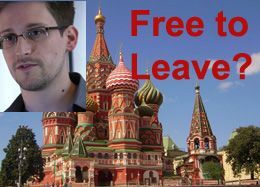 Viktor Bout Jury Forewoman Saw "Lord of War"
The jury has returned a guilty verdict in the case of Russian businessman Viktor Bout. A jury reached the verdict in the case against Viktor Bout after deliberating since Tuesday in federal court in Manhattan. He was convicted of conspiracy to kill Americans and US officials, deliver anti-aircraft missiles and aid a terrorist organization. He will be sentenced in February and faces up to life in prison. The New York Times reports on the verdict here. Here's the verdict form the jury had to complete. My recent lengthy post on the trial is here. All of our coverage is available here. Mr. Dayan’s core argument was that Mr. Bout had humored the supposed FARC representatives’ interest in weapons, and even encouraged it, in an attempt to sell two cargo planes that he intended to persuade the men were necessary for the delivery of the weapons. Mr. Dayan emphasized that Mr. Bout never actually believed the men were members of FARC and said his client was “acting out” throughout their dealings; a weapons deal, Mr. Dayan said, was never agreed upon, nor did Mr. Bout ever plan on delivering any military equipment. Mr. Dayan said that by the time of his arrest, Mr. Bout had made the transition from a legal arms-dealing trade to other business opportunities, like real estate, and the defense lawyer seemed to blame the fiasco on Mr. Smulian, Mr. Bout’s former associate. While Mr. Bout fought extradition in Thai courts after his arrest, Mr. Smulian voluntarily traveled to the United States and has cooperated with prosecutors for three and a half years. Russian Foreign Minister Sergei Lavrov today promised Russia will continue to support the legal efforts of Viktor Bout and pilot Konstantin Yaroshenko, both of whom were ensnared in U.S. DEA stings abroad and brought to the U.S. for prosecution. Bout is on trial now in New York for terror related charges arising from an alleged arms trafficking deal. Yaroshenko was convicted and sentenced to 20 years in an African drug sting, and is appealing. Our citizens may be certain that our country will not leave them in an unjust situation…These cases have attracted wide publicity,” Lavrov said in a radio interview. “We are actively supporting both [Bout and Yaroshenko], as well as other Russian citizens who find themselves in similar situations…This support includes hiring experienced lawyers if necessary,” the minister said. Earlier, it was reported that the DEA informant in the Viktor Bout case was paid $1.5 million. Scratch that, it was $8 million and rising. Former Guatemalan soldier and drug dealer turned DEA informant, Carlos Sagastume, testified yesterday in the trial of accused arms dealer Viktor Bout. Sagastume testified his supplier in Guatemala got busted and Mexican police took him to Mexico, where he was freed after paying a $60,000 "ransom." He then contacted the U.S. embassy offering to be an informant for the DEA. The DEA brought him to the U.S. in 1998 and he's been working as a paid informant for them ever since. He's made over 150 cases and says it's the best paying employment he's ever had. He testified that he has been paid $1.6 million by the DEA and $7.5 million by the State Department. He said he raked in $250,000 from the Bout case alone, and hopes to earn more money from the case. The first government witness today was William Brown, a U.S. Drug Enforcement Administration agent who managed the investigation. The three undercover sources used to make contact with Bout and his associates and pretend to be FARC members were paid almost $1 million for their work on the case, he testified. 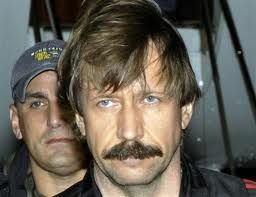 Jury selection has begun in New York in the federal trial of Russian businessman Viktor Bout. Bout is charged with terrorism offenses for supplying arms to FARC, Colombian rebel fighters.